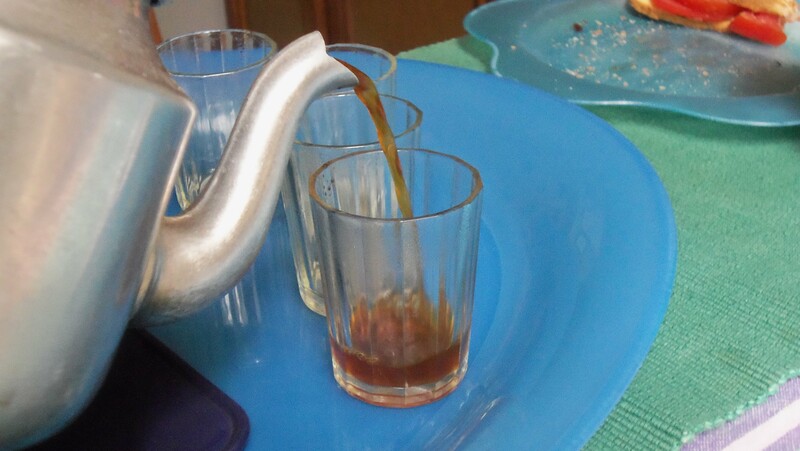 Last weekend I got to experience attaya, a strong, sugary green tea. It was very good and we had it a few more time throughout the week, it definitely has the caffeine you are looking for when you are draping. Here’s what Wikipedia has to say about attaya…link. 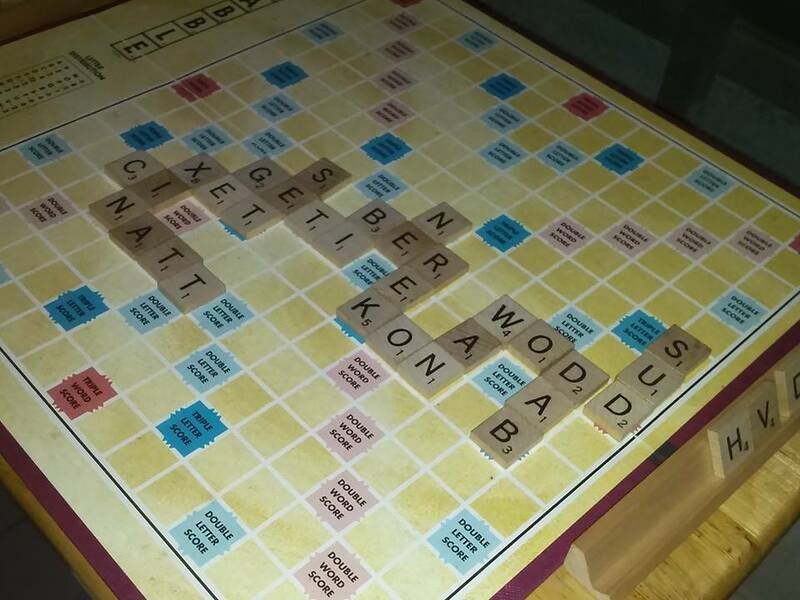 I also recently played a game of scrabble in Wolof, the language I am studying here. It was very challenging, but a good exercise! At least I got to use the dictionary. When I decided to start a blog I told myself I would never apologize for long periods of silence. When I was young it seemed like every letter I wrote to family or friends far away began with…”I’m sorry it’s been so long since I wrote.” I would feel guilty because I had intended to write and just hadn’t done it. Sometimes it’s so easy to get busy living life, that making time to connect with people who are important to us gets lost in the shuffle. This weekend I had a phone call with a lifelong friend and I was reminded of why I began blogging…I want to share my life with you. I want you to know a little more about me as you read my posts. It’s important to me. Since moving to Africa you would think I would have lots of exciting things to share, but it doesn’t always feel that way. 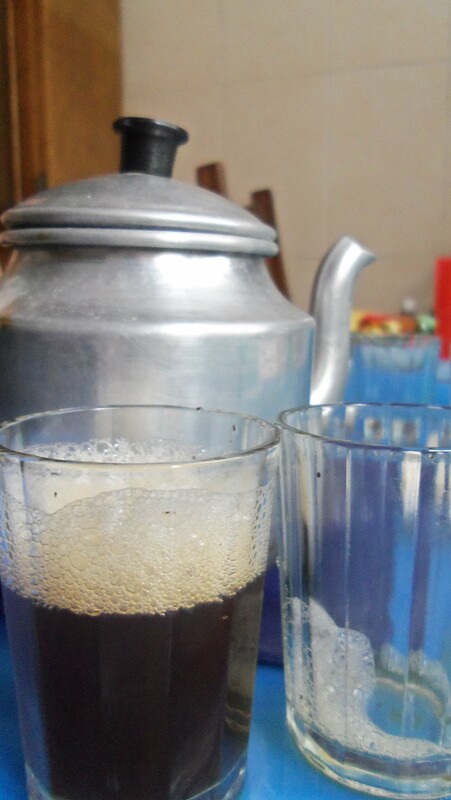 My mornings are filled with my ministry and the rest of the day is spent in a variety of tasks…checking/responding to emails, doing laundry, trips to the grocery store, taking naps – I don’t know if this really can be considered a task but it is part of some of my afternoons, studying Wolof, making dinner and taking care of my garden. But while all of these things seem very routine to me, you may still find them interesting. 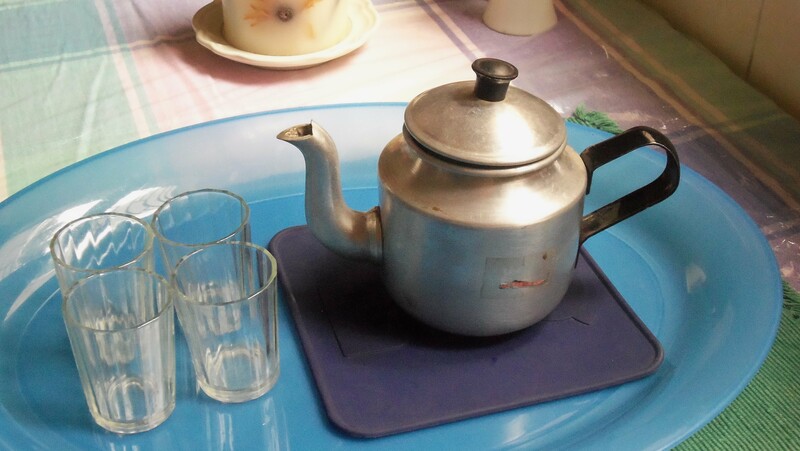 So I will try to give you a picture of what my life in Senegal is like. This picture was taken in the beginning of June. 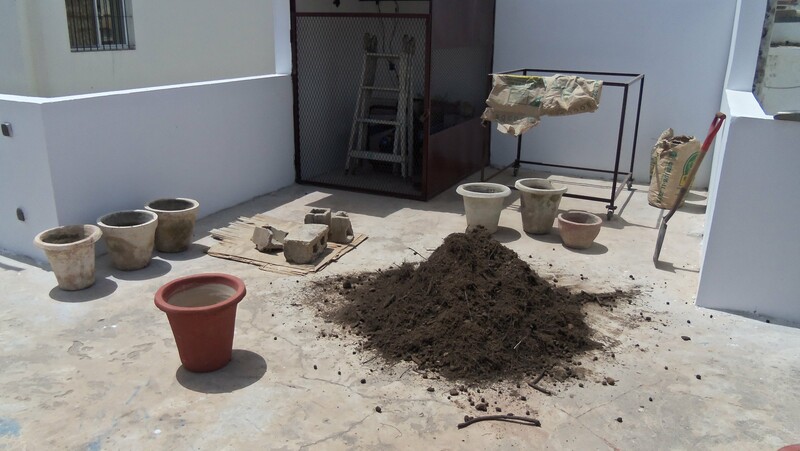 We bought 5 bags of dirt to fill empty pots that we already had and bought 3 new pots to fill. Here are the cucumbers growing up their trellis and their neighbors, the basil plants. 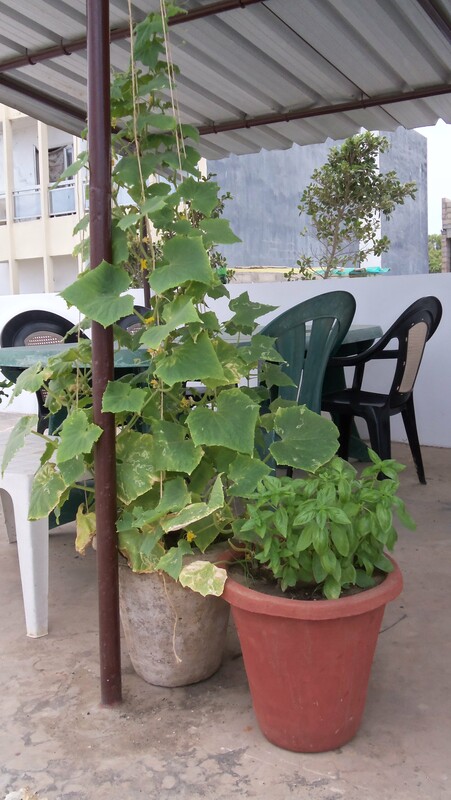 The basil is really liking the hot humid weather in Senegal! 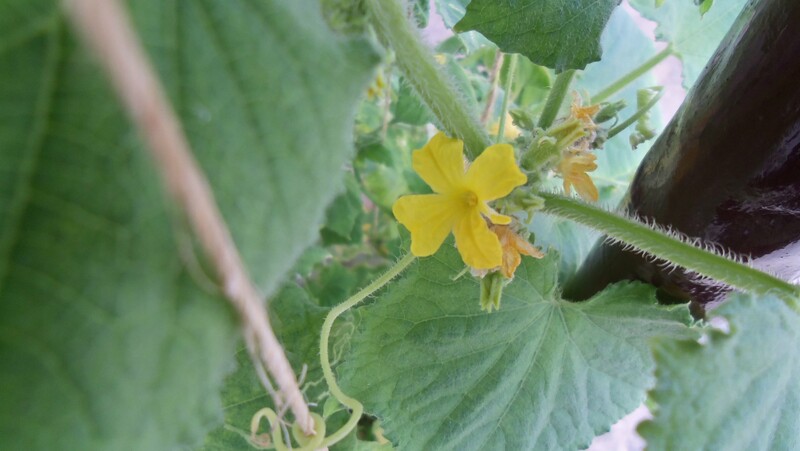 The cucumbers have put out so many blossoms…but sadly no little cucumbers. 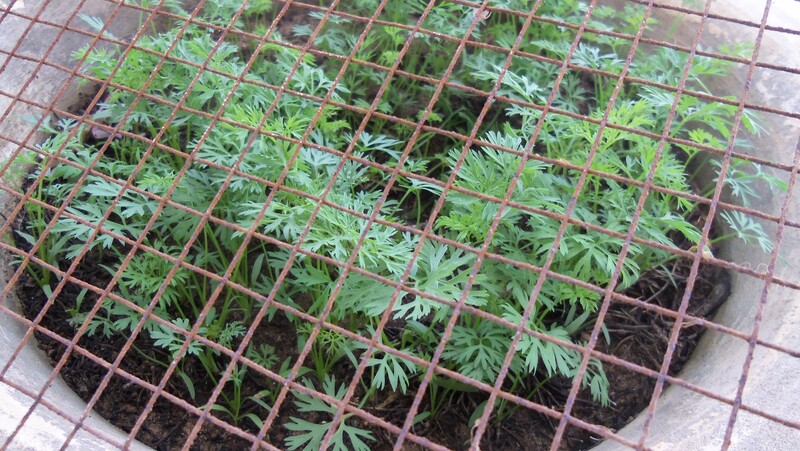 Our young carrots being protected from the birds who like our roof. 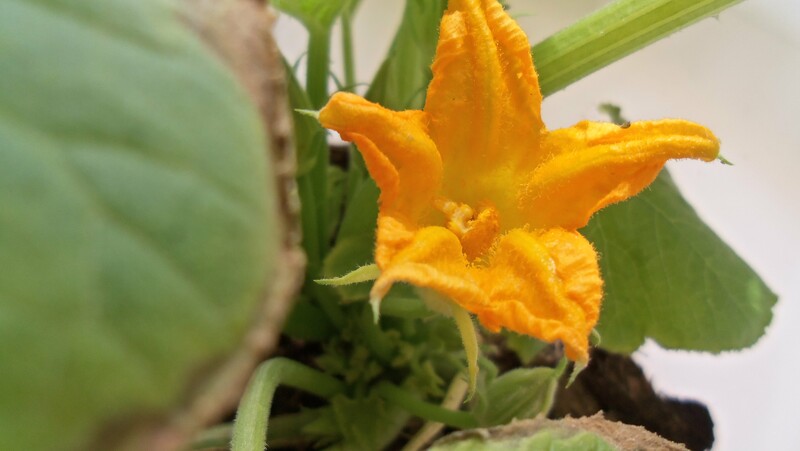 A zucchini flower! I’m anxiously awaiting eating my first zucchini. 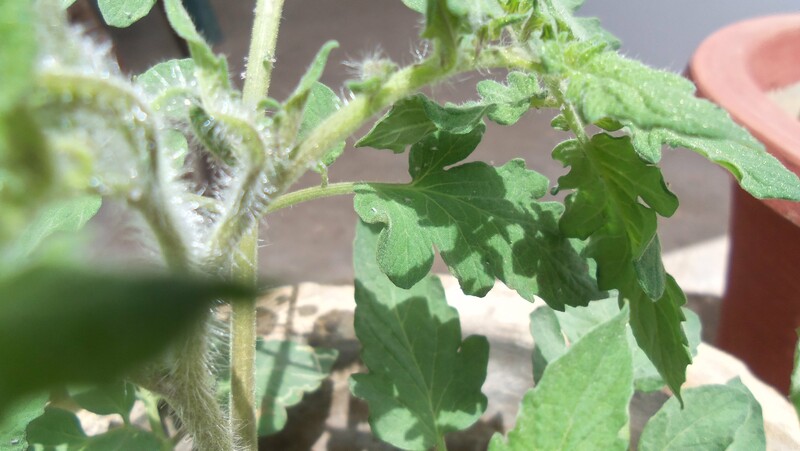 Our volunteer tomato…we are hoping for a beefsteak. We planted cherry tomatoes from seed and they are doing well too. I love how fuzzy tomato plants look! 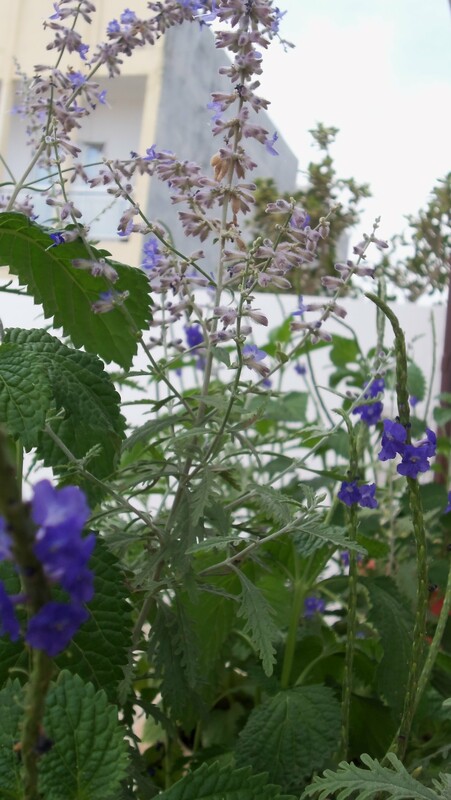 We have been enjoying the beautiful purples of these plants we got from a teammate. The one with the light purple flowers are Russian Sage. God provided me with an unfinished courtyard that I decided would make a perfect garden…I named it “The Secret Garden”. It’s small but things are growing! Look! 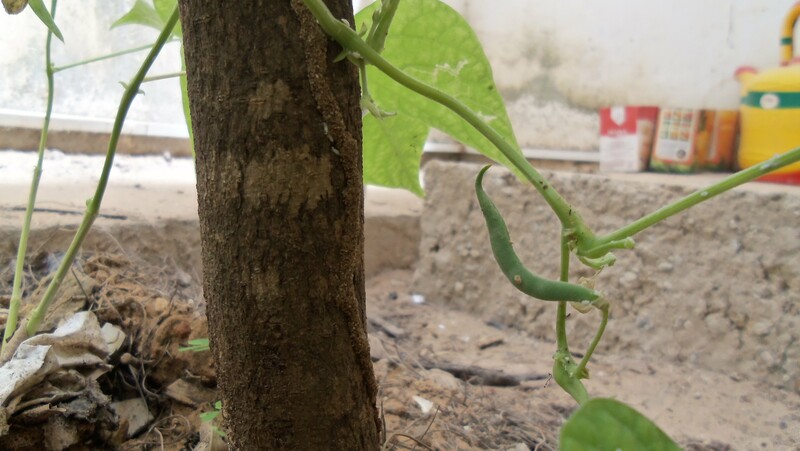 Our first green bean…we are going to cut it into thirds and share it! 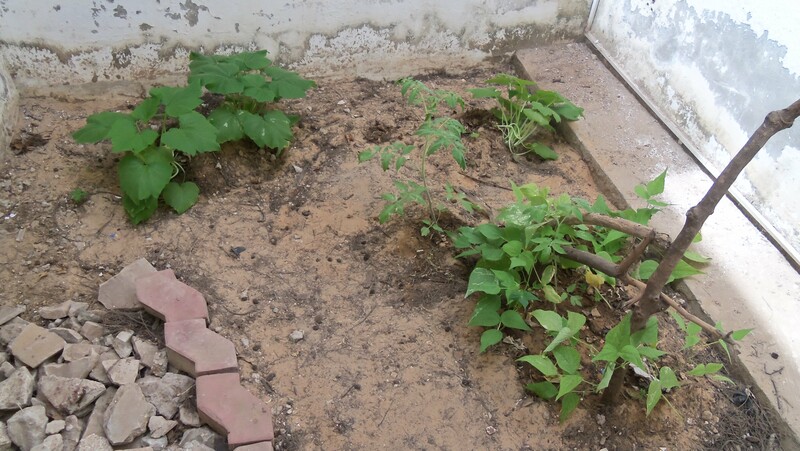 It is definitely different growing plants on a rooftop garden in pots and a small sandy courtyard, then growing a 1/2 acre garden in Minnesota with my family. But I am so thankful God has given me a way to connect with Him through growing things! 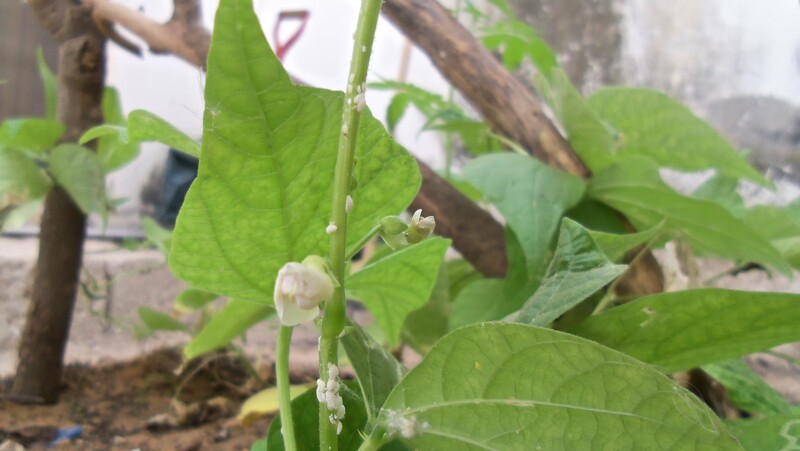 While I was writing this I took a break to go water my plants on the roof and got to enjoy a gentle rain…such a long-awaited joy!